Has Fido’s “doggie lawn art”, been a real pain in your grass? Want to eliminate the odor & disgust? Need to take back your yard for parties, or fire up that BBQ pit? Concerned about the diseases and parasites associated with dog waste? Poop tracked into the house, or all over the lawnmower? Elderly, disabled, or physically challenged? Then Throw us a Bone!! Keeping Houston’s Residential Houses and Commercial Properties Sparkling Clean! Wholly Krap’s friendly professional rep’s, arrive, bag, and totally removes all of the dog waste from your property! And you think you’ve had a crappy day…. Why Wholly Krap? “Because the waste is a terrible thing to mind”!! We answer the call of DOOdy! 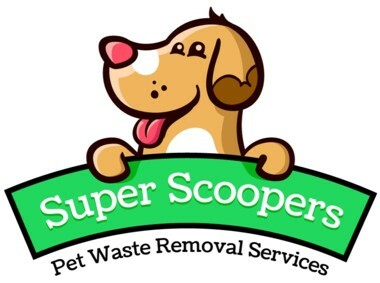 Super Scoopers is a professional pooper scooper service in the Dallas Metro area. We offer weekly, twice weekly, and every other week cleaning service. We can also do one-time scoopings. We pride ourselves on professionalism, and all scoopers come to your home uniformed and with vehicle signage. For your security, all scoopers are also background checked and drug tested, and we are fully insured. We offer easy and convenient payment options, including online bill pay and autopay, to save you even more time. Let us help you reclaim your backyard! POOP 911 is a pet waste disposal service meant to provide you with a clean yard so you can fertilize it as you see fit….NOT what your dog sees is his sole duty….aside from eating of course!. Many times your dog’s poopie piles, dog logs, land mines, or POOP 911 can build up faster than the earth cares to take them away. Let us clean up after your dog and make your lawn a fun, clean and safe place to be. We offer weekly, every-other week, once-a-month and one-time cleanings. We also clean, disinfect, and deodorize decks, patios, dog runs and kennels. In 2007 I was attacked by a Boxer. From this I received 7 stitches and a fear of Dogs. To overcome my fear of dogs I started Dooty Free Lawns. I have been helping families maintain their lawns and regain my love of dogs. Please give us a call. Thank you!